Center the Tru-Frame® Greenhouse Window in rough opening allowing equal clearance on both sides and top. 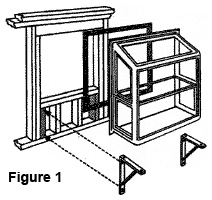 Bottom pan should line up with the finished sill height, allowing for any inside additional materials such as tile (see figure 3). Attach window to jambs, sill, and header with screws long enough to penetrate through any furring strips and deep into framing. 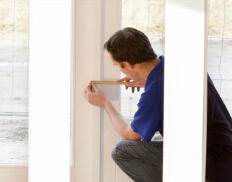 A ribbon of caulking between the frame and flashing is a must.